In a population of just over a million, more than ten percent are orphaned or vulnerable children. There are many needs but none more urgent than the needs of the children. Being abused or abandoned is the lot of life for too many. Claypotts Trust is involved in sustainable community development, feeding programmes, clothing distribution, furnishing of schools and training in the care of the environment. But we never neglect or forget the spiritual needs of the children.Thank you to all our donors (does this include you?) for this great work. Yellow stands for the natural resources the country possesses. The flag also has a picture of a shield and spears which stand for protection of the country from enemies. The shield is black and white to show that black and white people live together peacefully in Swaziland. Take time to browse through our website and if you would like to contact us or support this ministry, please click on our links. 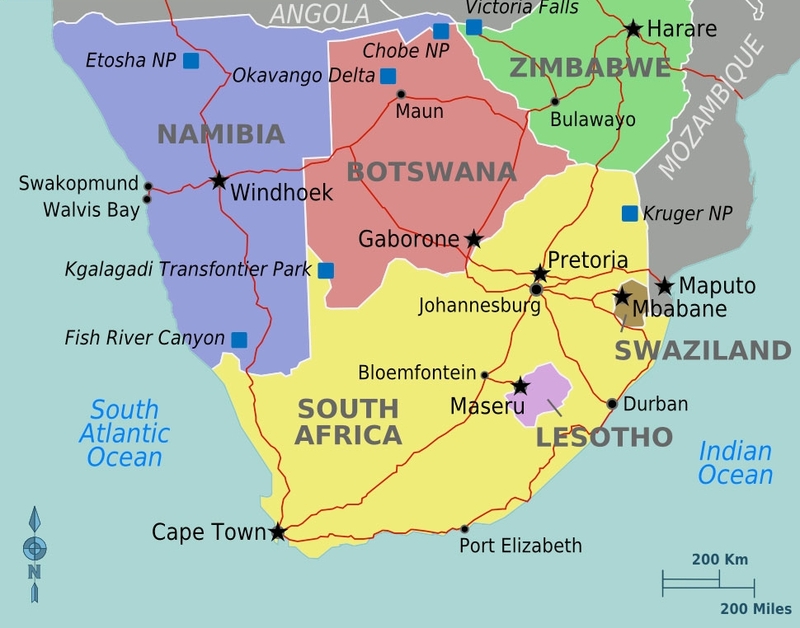 Established in 2006, The Claypotts Trust supports compassionate Christian ministry in Swaziland, the smallest kingdom in Africa with the highest incidence of HIV / AIDS on the continent. Officially registered as a United Kingdom charity and as a legal entity in Swaziland, Claypotts is directed by Mr. Mphaya Simelane, Ms. Denise Mortlock and Miss Nomcebo Mdlalose who are based in the capital city of Mbabane. Claypotts Trust was originally founded by Pastor Ken and Mrs. Brenda Jefferson during their time in Swaziland. Ken is well known in Scottish Baptist circles having been pastor of Perth Baptist Church where the fellowship was rebuilt during his ministry and new church premises were erected. He then served in South Africa in two pastorates as Senior Pastor of Westville Baptist Church which experienced rapid development and then he served as Senior Pastor of Randburg Baptist Church seeing the church through a time of severe financial crisis. Ken returned to Scotland for seven years and was Pastor of Broughty Ferry Baptist Church which expanded from a low membership base to become a vibrant family church. The call to return to Southern Africa was extended and love for the people of the region made it a call that was not difficult to accept. In 2006, he and his wife Brenda accepted the position as pastor of the Mbabane Chapel until their return to England in October 2014. Ken and Brenda still maintain very strong links to Swaziland and are involved with all the work of Claypotts Trust. We who have this spiritual treasure are like common clay pots, in order to show that the supreme power belongs to God, not to us.